This took place at Yeshiva Spring Valley where Lipa from New Square & Lazer Brody from Ashdod came together in Emunah and song. 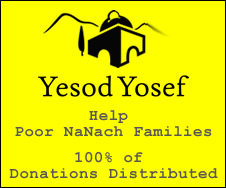 The local Monsey NaNachs did hafatza for 2 hours. Giving out hundreds on stickers some kipas and Kimeas. People loved it and so did we. Keep up the amazing Nanach!